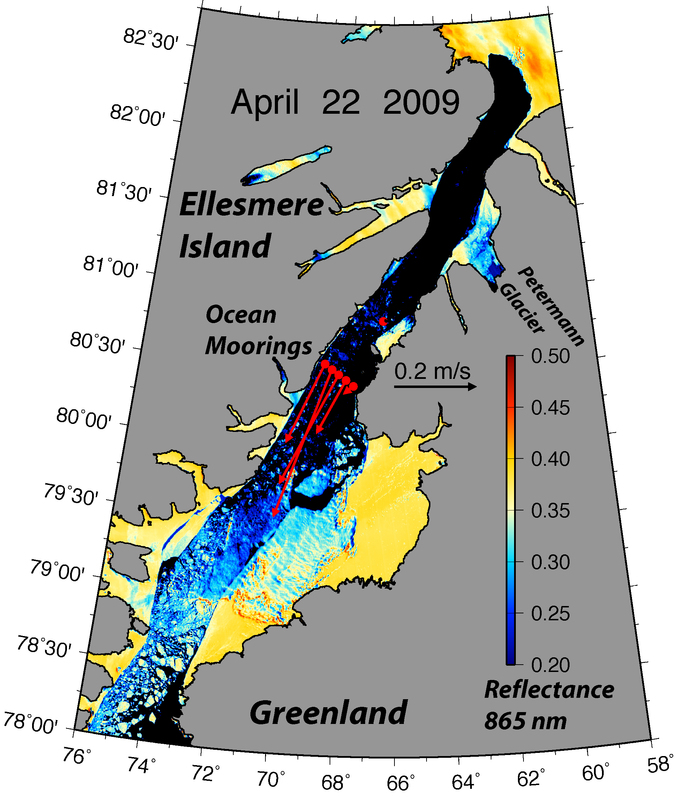 Petermann Glacier surface elevation from laser shots on Mar.-24, 2010 at the site where the Manhattan-sized ice island formed Aug.-6, 2010. The background shows the same scene at the same time at 250-m resolution from MODIS (see below). 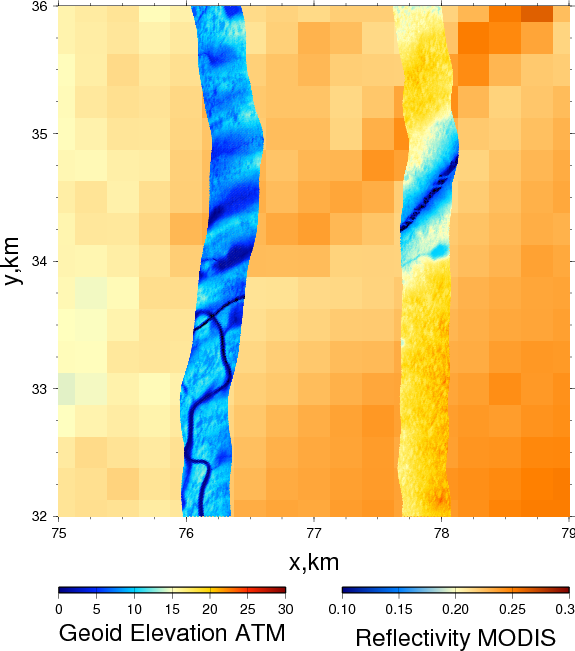 Colors along the 350-m wide laser track line show height above sea level in meters. Petermann Glacier on March 24, 2010 as seen from MODIS satellite at 250-m resolution with two flight tracks along which laser data are collected. The black box shows the site of the figure above. 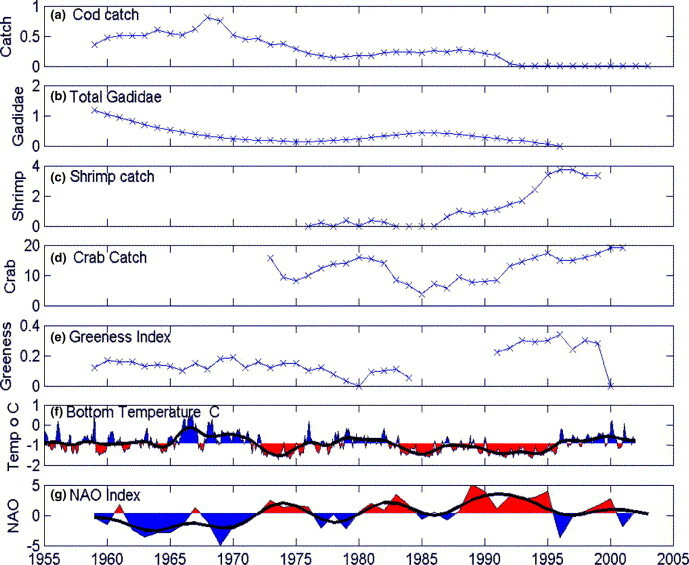 The color figure on the right shows the slope or gradients of the data shown on left. It emphasizes regions where brightness changes fast. Multivariate calculus is useful! 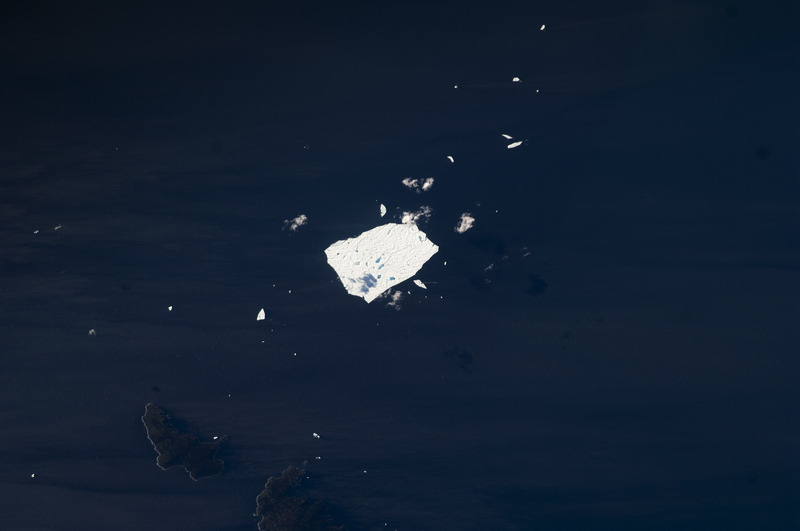 Both are images of Petermann ice. The photo measures the brightness that hits the lens, but the laser measures both brightness and ice thickness. The laser acts like flash photography: When it is dark, we use a flash to provide the light to make the object “bright.” Now imagine that your camera also measures the time between the flash leaving your camera and brightness from a reflecting object to return it. What you think happens at an instant actually takes time as light travels fast, but not infinitely fast. So you need a very exact clock to measure the distance from your camera to the object. Replace the flash of the camera with a laser, replace the lens of your camera with a light detector and a timer, place the device on a plane, and you got yourself an airborne topographic altimeter. So, what use is there for this besides making pretty and geeky pictures? The laser documents some of the change in “climate change.” Greenland’s glaciers and ice-sheets are retreating and shrinking. 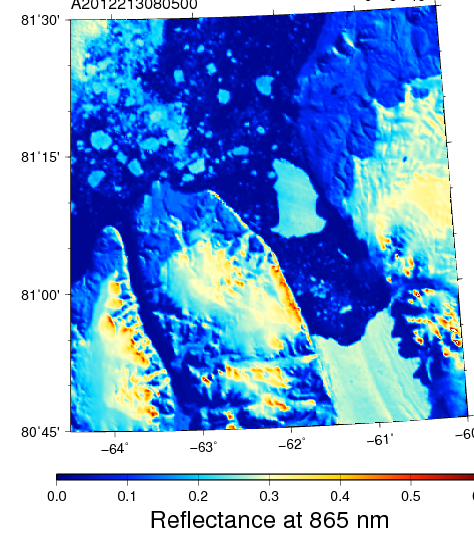 Measuring the surface and bottom of the ice over Greenland with lasers and radars gives ice thickness. The survey lines above were flown in 2002, 2003, 2007, 2010, and 2011. 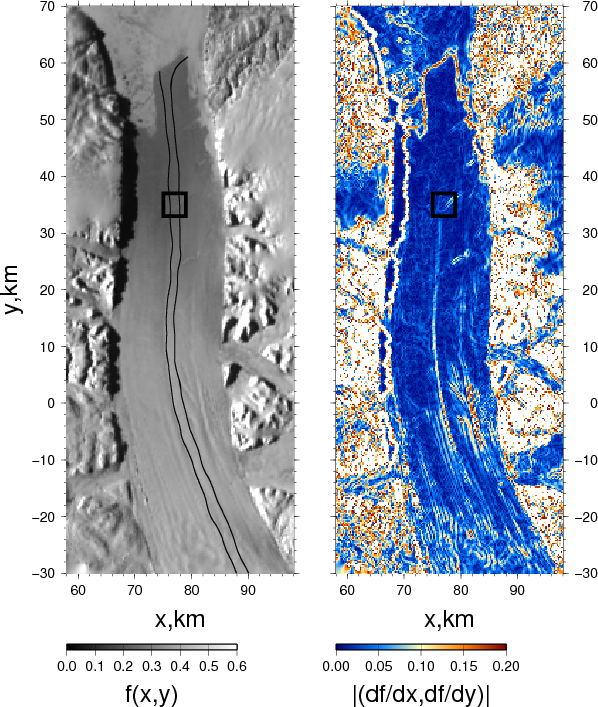 These data are a direct and accurate measure on how much ice is lost or gained at Petermann Gletscher and what is causing it. My bet is on the oceans which in Nares Strait and Petermann Fjord have increased the last 10 years to melt the floating glacier from below. The Canadian Coast Guard Ship is powered by such a diverse and talented group of women and men from Newfoundland, Labrador, and beyond, that one or even two posts here hardly do justice to describe how well they run their ship and its many facilities that many mid-sized cities do not have. Monday I wrote about the people who run the power plant and electric departments as well as the seamen who fight fires and run fishing fleet and port facilities. Today I want to show the airport and talk a little about the civil administration that oversees and manages all aboard the ship. The airport consists of hangar, landing pad, helicopter, traffic control, and fire fighting stations. Don Dobbin was our pilot and Pierre Autran his engineer who was pulled out of retirement for this trip. Incidentally, Pierre and I had sailed together on the same ship in 1993 more than 200 miles north of eastern Siberia. Then all flights were prohibited by Russian aviation authorities: Politics were different 20 years ago, one hopes. 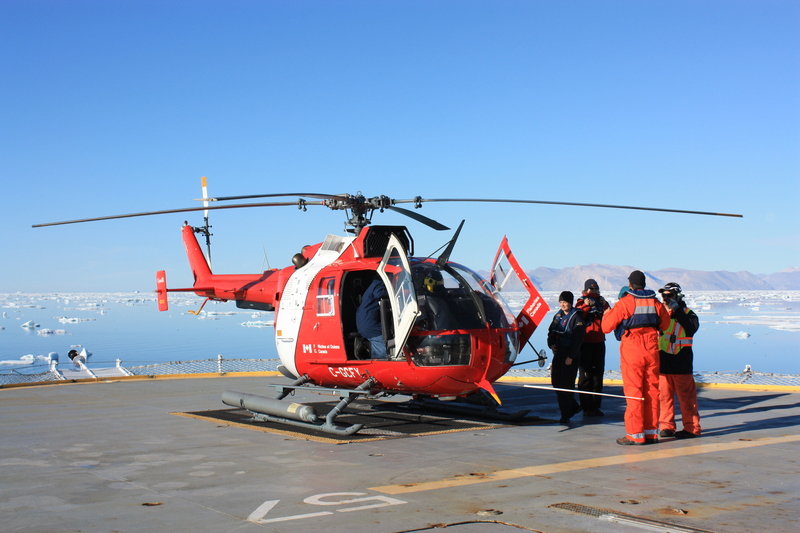 No such threat of being shot down existed this year between Greenland and Canada, but for severe ice conditions and poor internet connections, the airport was very busy almost every day for both ice surveys ahead and behind the ship. It also supported landing parties to set up and/or service 4 weather stations. The air traffic control takes place both on the flight deck where Chief Officer Brian Legge is in charge and from the bridge where the officer-of-the-deck is in overall command as either First Officer Chris Steward or Second Officer Rebecca Acton-Bond place the ship, alert the entire ship, and often oversee other science operations as well. All of these are demanding jobs, all these jobs need precision in the concise communication of orders and permissions granted or denied as well as execution of all operations, because helicopter operations are probably one of the most dangerous and critical operations possible on the ship. Attention to detail, clear communication, and calm execution lower the risk of death and destruction that helicopters can and often do cause. The National Science Foundation sent me to a 4-day course in helicopter safety and what to do if accidents happen over water or on land. It was a sobering course. For this reason, perhaps, Captain Wayne Duffett is almost always on the deck during flight operations, but as all good chief executives, he lets his officers and navigators run the operations but is available for help on consultation should it be needed. 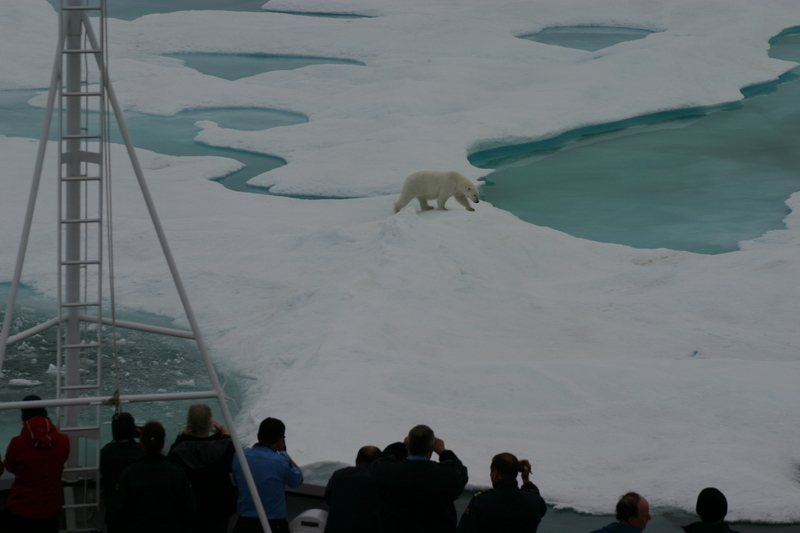 The navigator always works with a helmsman or quartermaster who steers the ship following instructions of the officer of the deck, they are on the look-out for ice and bergs to find the best routes. “Best” here refers to the route that requires the least amount of ice breaking. So, if there is one thing that icebreakers like the Larsen are really good at, it is how to avoid ice, because it is a violent and high-energy activity. Fuel is not cheap and less ice is broken, the faster and more efficient the tasks at hand can be accomplished. 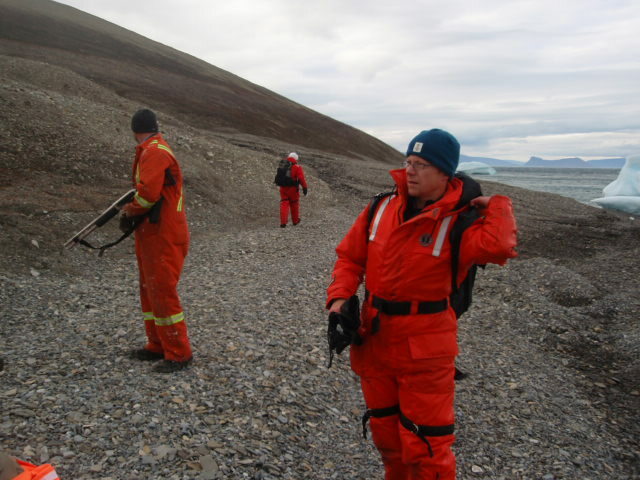 There is still more to describe such as the hospital, the restaurant and bar, as well as the superior fishing of sailors and fishermen from Newfoundland to find and hook valuable items such as sensors and computers that some scientists left unattended for 3 or 5 or 9 years at the bottom of the unspoiled seas that border Arctic Greenland and Canada. There will be more … as there are more great people who make great science possible. 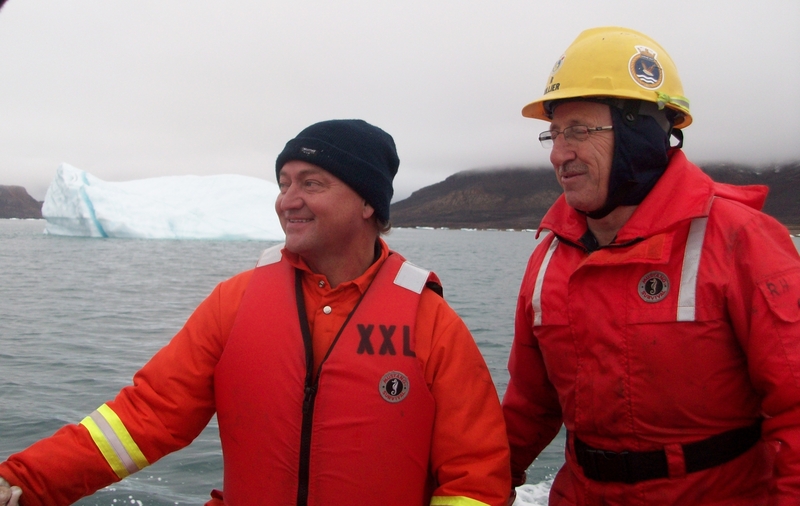 Canadian authorities aboard CCGS Henry Larsen. The CCGS Henry Larsen originates from St. John’s and most of its officers and crew are local to the town, island, and icy waters offshore where cod once ruled supreme until mis-managed industrial-scale offshore trawling almost wiped the cod out and destroyed much of the local economy that was based on cod for centuries. The U.S. Coast Guard’s ice breaker operates 24-hours/day under military rules without alcohol or overtime to be had. 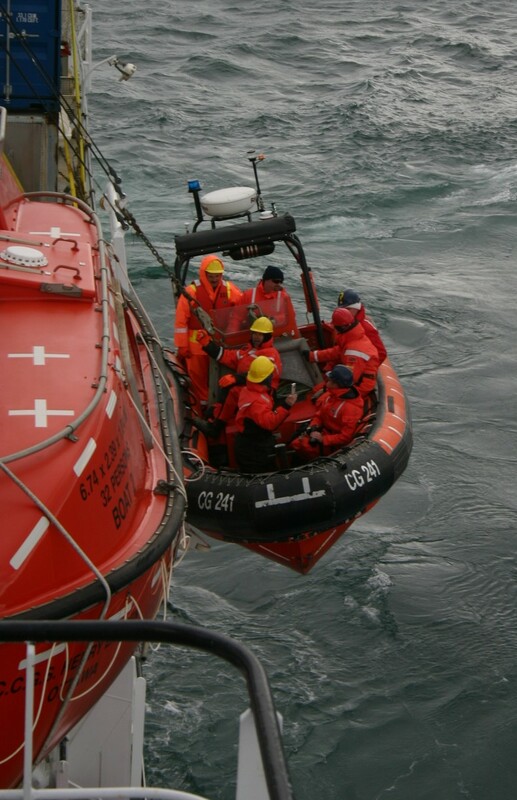 In contrast, the civilian Canadian Coast Guard operates less hours at full strength with some alcohol and some overtime served in moderation. 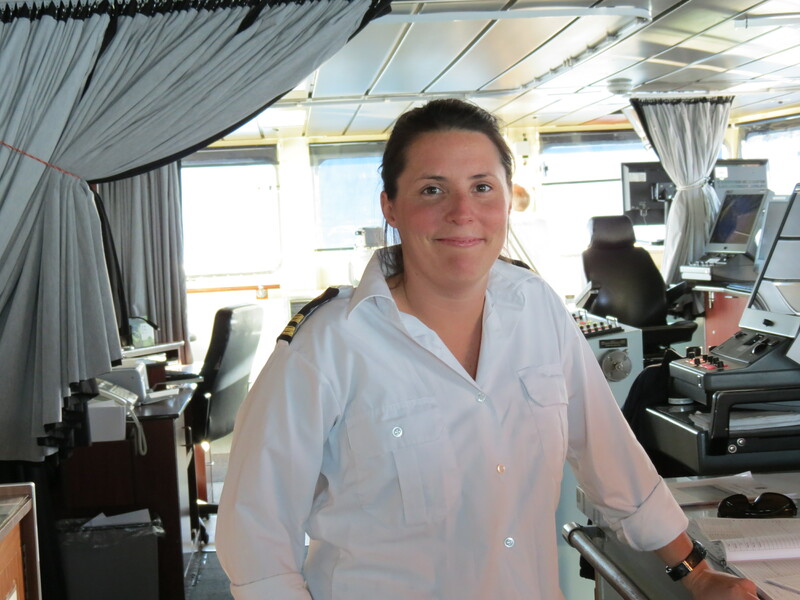 The cultures aboard US and Canadian vessels differ: US ships are permanently in training with young crew on 6-month deployments moving to a new assignment each year, while Canadian ships are working with an older, more experienced, and steady crews. 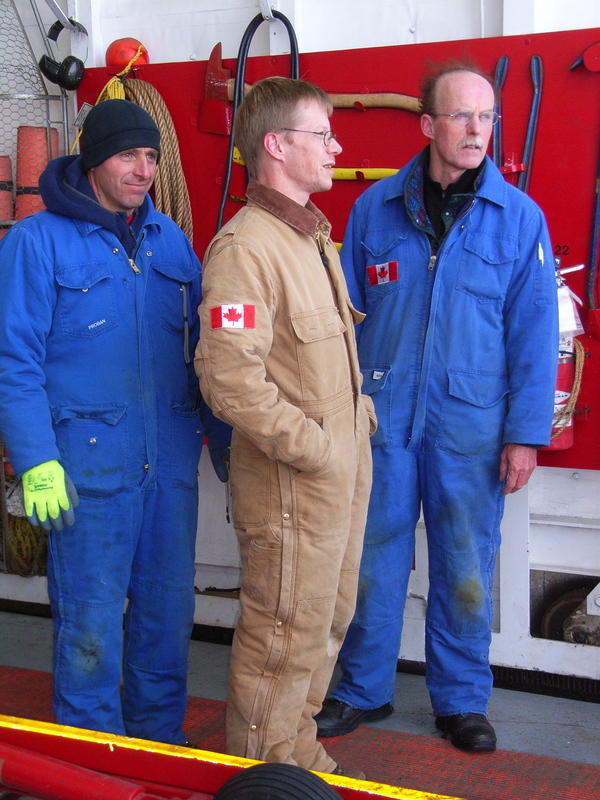 The Canadian crews do the same amount of work in 12-18 instead 24 hours with 1/3 the staff. Ironically, US ships have more “unclassified” electronic capabilities with many more advanced sensor systems. Both ships also have “classified” sensors and missions that I know nothing about, but I digress. Cod and screech are potentially aboard Canadian ships operating out of Newfoundland only. 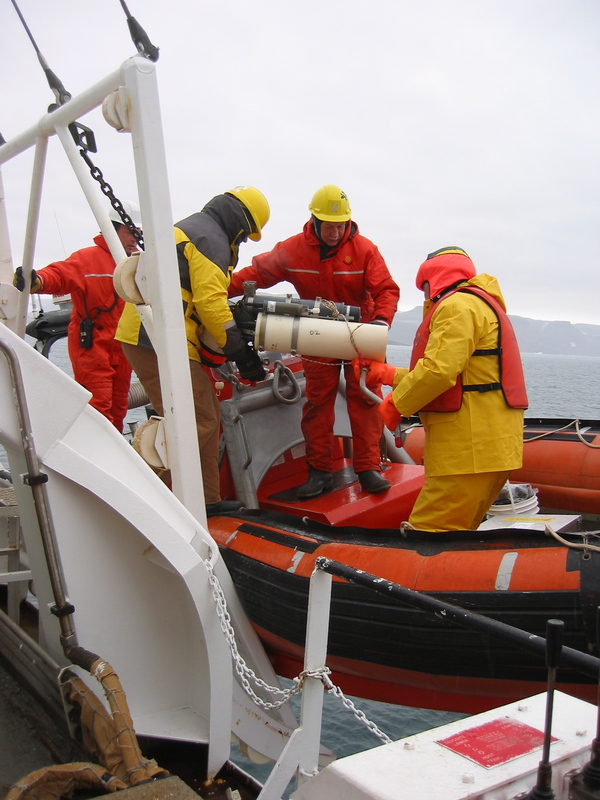 CCGS Henry Larsen crew at work: Deployment of a tide gauge (subsurface pressure sensor) in Alexandra Fjord. 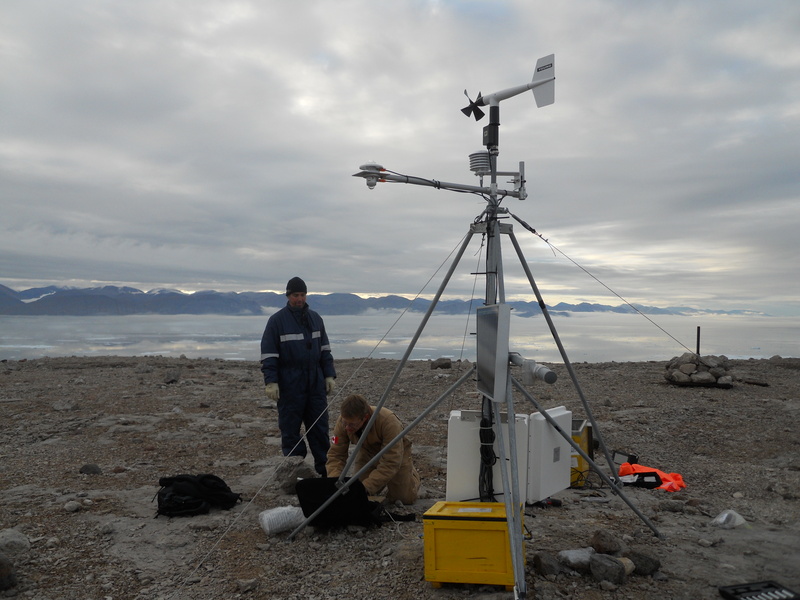 This is one of the instruments we will recover from Nares Strait that was deployed in 2009. Our small motley crew of eight scientists this year consists of 4 Canadians from British Columbia, 3 Americans from Delaware, and 1 Dutch from England. Yesterday night we all converged at a fine restaurant on Ducksworth Street in downtown St. John’s, Newfoundland. A dispute is still raging among us on what is valid proof of earlier”screeching-in?” I learnt the hard way, that “laminated certificates” are invalid, but what about “un-laminated certificates?” The former are easily obtained in the vibrant port city of St. John’s with its many bars and pubs. 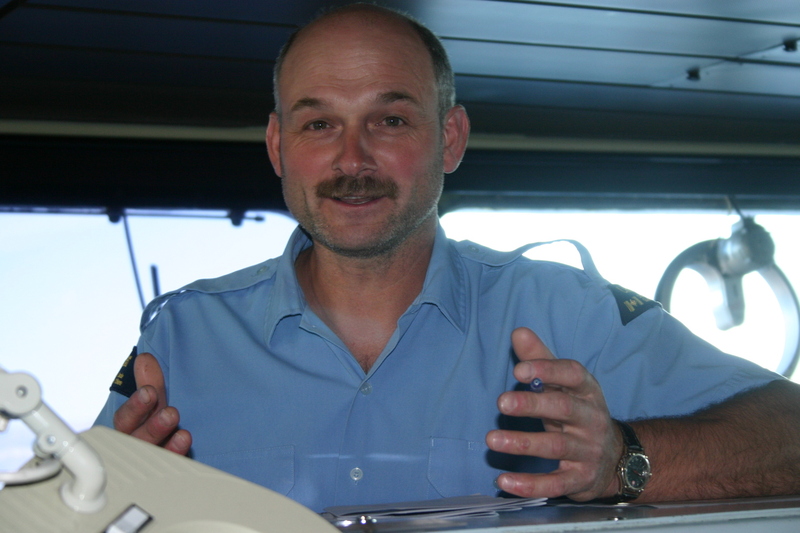 The “un-laminated certificates” may be valid, if signed and authenticated by an officer of the CCGS Henry Larsen aboard said ship, but enforcement has been selective. 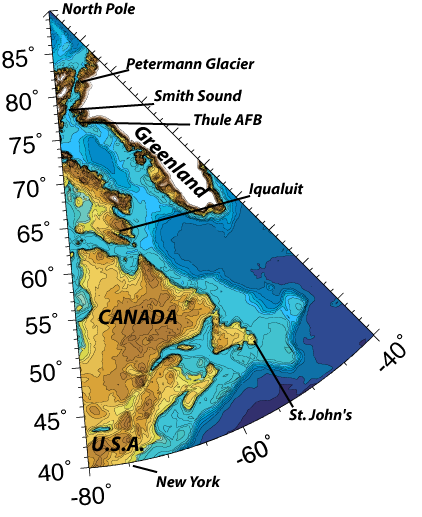 There are also arguments, that a crossing of the Arctic Circle (certified by a Commanding Officer of a Canadian Coast Guard ship) or the crossing of the International Dateline north of the Arctic Circle (certified by a Commanding Officer the CCGS Henry Larsen) may supersede the more common “screeching-in” ceremonies and certificates. I am the main person making these arguments facing authorities with powers that exceed mine by far. Our failure to leave for Thule, Greenland today may give some of us a chance to get potentially needed “screeching-in” certificates, but I very much doubt that these “laminated certificates” carry much weight. Time will tell. It will also tell if we get to Thule tomorrow. Hurry-up and wait. I’m about to fly to Thule, Greenland for a research expedition into the Nares Strait. We had planed to survey Petermann Fjord, but our proposed cruise track is facing an obstacle twice the size of Manhattan. 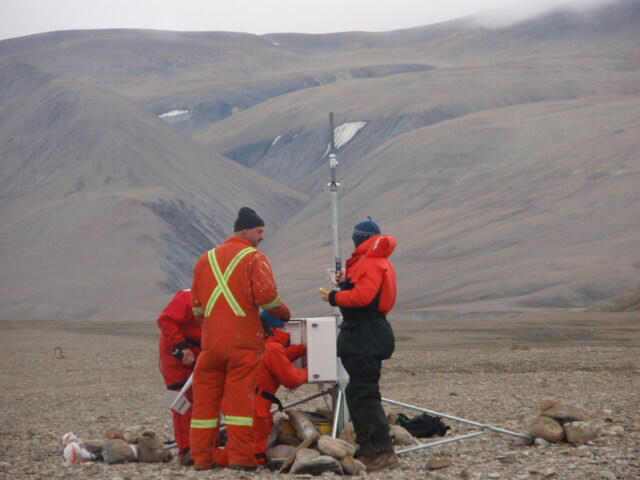 We’re heading up north to pick up instruments that have recorded current velocities, salinity, temperature, and ice thickness in Nares Strait since 2009. I’ve been working all summer on data retrieved on a similar cruise three years ago, focusing on what effects the ice arches have on currents north of the ice arches. 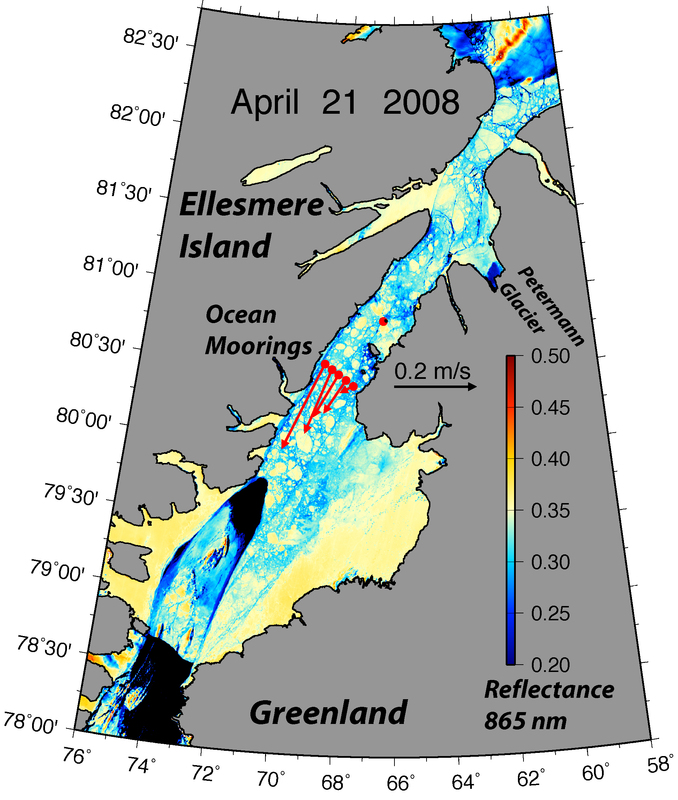 Nares Strait MODIS satellite imagery of the study area and ice arch April 21, 2008. Red dots are instrument locations. Arrows show current velocities. Nares Strait MODIS satellite imagery of the study area and ice arch April 22, 2009. Red dots are instrument locations. Arrows show current velocities. Note the lack of the southern ice arch, but the presence of one north of the study area.